We all know what Nashville is : the capital of Country Music. That it is; but Nashville also exemplifies the politics of urban America, and political Nashville is the topic today. 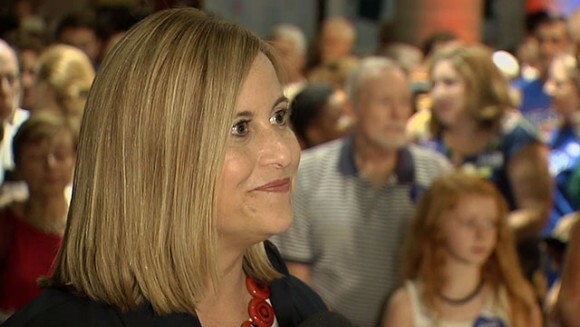 On Tuesday the city elected its first female Mayor, Megan Barry, currently an at Large city Councillor, who voices a combination much more powerful in the nation’s political life than observers realize : business progressivism. Barry, according to the New York Times report (see the link below), supports marriage equality, a raised minimum wage, and women’s health care rights. Significant business community support boosted her vote already strong in a city hosting not only Country Music but also Vanderbilt University, Fisk college, and a growing population of technology workers. In the article you find a story that isn’t as uncommon as casual observers may think. Business has taken a leading role in fighting the recent tide of religion-based discrimination. In the past twelve months we’ve seen business overturn a discrimination law in indiana; prevent one in Louisiana; and turn back such a law in Arizona. Here, too, in Boston, businesses large and small have moved to the forefront of civil rights causes. it was no surprise to see business groups provid ing a huge majority of the marchers in Boston’s 2015 Pride Parade; and the same has been true in the small, but nationally iconic, city of Salem, where as we all know, hundreds of people in 1692 were accused of witchcraft and twenty were hanged. Businesses and city basing more and mire, as the most technologically advanced workers, and their start-ups, congregate in cities to live; to work, buy, socialize, and educate. This is happening in the South just as much as it is elsewhere in America. For City businesses and their millions of workers, progressivism and capitalism form an obvious partnership. The car-less life, the twelve hour work day and six hour play day, the expensive meal, the entertainment lifestyle, artistic ambience, and crowded accommodations epitomize enterprise in all things. call it a “business lifestyle,” you won;t be far wrong. Businesses want customers. They embrace lifestyle customers — who have plenty of money to spend. Few businesses of any kind care to be seen by any potential customer as unwelcoming. Nor is this a new deal. Businesses fought Jim Crow in the post-Reconstruction South and did so as long as Jim Crow ruled. The infamous Plessy v. Ferguson Case (Supreme Court 163 U.S. 537, 1896), in which a majority of the Court held that “separate but equal public accomodation s were OK, arose becase the Illinois Central Railroad resisted the segregated trains required by a Louisiana Jim Crow law. Businesses also played a key role in stopping the lynch law terror that dominated sveral Southern states from about 1890 to 1920. (Lynching did not end entirely, but never agian did it rule unchecked and even sanctioned.) More recently, long before “equal opportunity employment” became automatic, najor businesses embarced the policy and eforced it. This is not to say that business in America equates with progressive social and economic policy. Much business politics — arising from individual billionaires in particular — backs regressive agendas, and a few corporations seem wwilling to be governed by religious sanction. But these have nothing like the ground-level, concentrated vote clout wielded by city-based businesses. In the South, there are more than a few Megan Barrys. Houston, Texas, has a Mayor, Annise Parker, who is female and lesbian. Black Mayors rule many Southern cities. And as we saw during the Charleston, South Carolina shooting tragedy, Mayor Joseph Riley stands as progressive and business oriented as Barry will ever be. Still, the election of Megan Barry is the story of the moment and is, finally, being talked about for what it really is : a coming of age, so to speak, of a politics that is very likely to expand in force and power as the next national election takes place — and beyond. The business progressivism of urban America has a brilliant future in a jobs-expanding South; and in the South — as in the North — almost all of it belongs to the Democratic party. In the South, this aprtisan condition portends bad days agead for the GOP, which has dominated the region these past 15 years. As the Republican Party more and more embraces voters who live the opposite of urban, and voices agendas that city voters anathemize (and many suburbanites too), elections in much of the South will see Democrats winning again — and more so as elections 2020 and 2024 approach. The era of rural-religion politics is coming to an end.